Regulatory change is not a new concept. In fact, some might argue Benjamin Franklin’s quote should have been “in this world nothing can be said to be certain, except death, taxes, and regulatory change.” The financial world has seen change come at a blistering pace over the past few years—not just in the United States, but all over the world. And this trend does not appear to be slowing down. This article attempts to shed some light on how, in our experience, we have seen companies deal with regulatory change. We will explore various concepts, including our thoughts on how to be proactive, how to set a plan, how to deal with downstream impacts, and how to ensure the regulation does not dictate the financial results of the company. Then, putting these ideas into practice, we will use the recent adoption of the National Association of Insurance Commissioners’ (NAIC) Valuation Manual—specifically VM-20, Requirements for Principle-Based Reserves [PBR] for Life Products—as a case study, showing how companies are approaching this change. Another article in this issue of Contingencies titled “The Details Behind Principle-Based Reserving Implementation” dives even deeper into PBR and describes challenges companies are facing as they transition today. Please refer to that article for more of our thoughts around the modeling, assumption-setting, reinsurance, pricing, and financial reporting aspects involved in the implementation of PBR. From large-scale reform—Sarbanes-Oxley, Dodd–Frank, and the Department of Labor (DOL) fiduciary rule (which is currently under review)—to more specific actuarial changes such as International Financial Reporting Standard (IFRS) 9, IFRS 17, Financial Accounting Standards Board (FASB) Topic 944, Solvency II, and Valuation Manual updates supporting a principle-based framework—for a summary of these new regulations, refer to the sidebar—change is happening at a rapid pace. Let’s dive right into what we have observed companies do to minimize disruption—while maintaining competitiveness—in the wake of regulatory change. 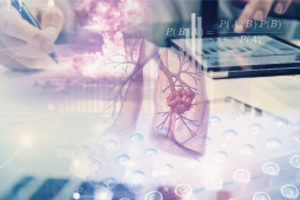 Companies that are about to experience regulatory change face many considerations across the organization to ensure successful implementation. It is important to keep the company’s future vision in mind and think about how this regulatory change will play into the strategic direction of the company. Having early discussions with regulators, rating agencies, the board of directors, and other key stakeholders will help to ensure buy-in from management and the company as a whole. Starting with the chief actuary, encouraging buy-in from the top down can influence company culture, individual employee morale, and the success of the project. Concurrently, employees need to work together toward one goal in a bottom-up approach. The future vision will likely also align with the company’s goal of retaining its footing in the competitive landscape. For example, given sufficient resources, a small, nimble company might be willing to price several new products to take advantage of new rules. In contrast, a large, more well-established company may take advantage of its large distribution channel or customer base. As new regulations become effective, the competitive landscape will change—so it is important for all companies to align their current strategy with their company’s long-term vision. A company facing regulatory change will need a strong plan to get from start to finish, and each plan will vary based on company concerns and vision. Actuaries may be asked to create a road map with specific goals and deadlines related to implementing the regulatory change and intermediate steps toward accomplishing them. This planning may include identifying resources, researching and understanding the new regulation, steps to implement any required changes, and a review and approval process. Resources, time, and scope are the three main constraints when creating a plan, and tradeoffs among the three should be considered. Which is the most flexible—timing strategy, number of products, or number of resources? It may be necessary to get buy-in on the selected balance among these three constraints from stakeholders, specifically senior management. The Gantt chart on page 40 shows a simplified example of a high-level road map on implementing a new accounting change. The Gantt chart is just a start; after its completion, several details would likely be addressed. In order to manage the process, a company may want to create a project plan with milestones leading up to when the regulation takes effect and any changes that need to be implemented—while making sure the timeline is feasible and will result in compliance with applicable regulatory deadlines. The level of available resources should be taken into account when creating this project plan: number of people, internal vs. external resources, length of time to comply, and dependencies. The number of people needed might be determined based on the financial materiality of the regulation, the amount of effort required, and the remaining time until regulation takes effect. If full-time support on the new regulation is needed, it may result in resource strain for other internal functions (“business as usual” processes). Utilizing external resources that are familiar with the regulation could save time and relieve pressure in the short term, however developing internal resources to build a knowledge base and support for the regulation in the future may prove valuable in the long run. Education is a key component at the early stages to stay ahead of the regulation (and the competition). An internal committee to address the new regulation that consists of key stakeholders from across the organization is a good start (pricing, valuation, financial reporting, corporate actuarial, etc.). Depending on the level of impact and scope of the change, there may be staff solely dedicated to this initiative. Committee members and dedicated staff might be encouraged to participate in working groups on the topic—including actuarial associations such as the Academy as well as industry groups—to see how others are handling the change. Participating in working groups can allow stakeholders to learn about issues others are facing and how they are addressing them. Participation in pilot studies is another great way to get insights from regulators and put your company’s plan into action. This can be a useful approach to receive regulatory guidance on issues you may be facing. The company might consider sponsoring webcasts or procuring other internal educational resources for all employees to learn more about the regulation and its associated implications. We see education as not a one-and-done item, but rather an ongoing effort through the implementation date and beyond. Business strategy: How does the overall future vision fit into the business strategy? Is the product mix affected? Marketing? Merger/acquisition activity? We saw this come into play with the Affordable Care Act (ACA) and DOL fiduciary rule, both of which are forcingcompanies to shift their product mix, commission schedule, and, in some cases, pivot on their core business strategy. Capital management: Similar to the points above, how will capital be managed? New captives? Reinsurance decisions? Changes to investment strategy? As an example, the enactment of Actuarial Guideline 48 caused many companies to rethink their decisions with respect to captives. Regulatory compliance: How will the change be documented? What controls will be put in place? How will this be audited? How will the regulators react to the changes and the companies’ decisions? With Sarbanes-Oxley, Dodd-Frank and its “systemically important financial institution” (SIFI) designations, companies generally changed the way they thought about compliance overnight and added very strict reporting requirements. Risk management: How do the decisions of the overall company fit into the risk framework and risk appetite? Is a company being conservative with its assumptions? Aggressive on its tax position? Own Risk and Solvency Assessments (ORSAs) require risk management to be taken into account, but they do not apply to all companies and have not been adopted in all states. There are several instances in VM-20 in which the Valuation Manual specifically states that the interpretation of the regulation should be consistent with how the company manages risk for a given business . Governance: Governance could be broken down into data governance, model governance, and assumption governance. How will the new regulations impact all three buckets? Will models need to be updated? Will new data feeds need to be created? Will new assumptions or processes be required? VM-20 is a great example; the NAIC actually created a regulatory standard, VM-G, to address governance issues. Financial reporting: Finally, how will numbers be reported? Will the ledger change? How will updates be classified and attributed? New accounting frameworks have an important impact on financial reporting. We believe it is imperative to get finance, risk, accounting, and actuarial all on the same page. The previous section examined key considerations in the wake of regulatory change but was not specific to any particular regime, accounting basis, or rule. In this section, we attempt to provide more color on the topics described above using PBR as an example. 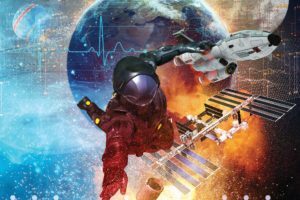 This discussion is by no means exhaustive, but rather focuses on a few important topics that we believe fit into the overall “preparedness” discussion. One of the particular challenges of PBR implementation is the decision of when to implement. The new valuation manual is effective as of January 1, 2017, but the regulation allows companies a three-year transition period. Companies can choose to implement the new methodology all at once, or transition product groups to the new method one at a time, as long as all products issued after January 1, 2020, are using a PBR valuation. A further complication is that a new Commissioners Standard Ordinary (CSO) mortality table has been developed, and it also has a three-year transition rule. Companies may reprice products to take advantage of the new 2017 CSO table, whether they move to a PBR methodology now or not. Other companies may choose to phase in their move to PBR—starting with term insurance, for example, then whole life, and then universal life by 2020. Still other companies may find it beneficial to wait until 2020 to implement all the products at once. What are the internal constraints—systems limitations, staffing availability, and appetite for consulting expense? How is the marketplace likely to change? Are the vendors prepared? Would the company prefer to help vendors make decisions about approaches, or wait until other companies have worked out the kinks? What would the home-state regulator prefer? How much interaction do I have with the regulator today, and how much will he or she want to understand about my decision process? When making decisions about PBR implementation, companies might consider what resources they currently have available that could be leveraged to create PBR valuations. Actuaries will likely want to review asset adequacy testing models and determine what changes would be necessary for PBR. Companies subject to Actuarial Guideline 48 have probably already leveraged this capability. Are stochastic models available for life products? If not, then which parts of the variable annuity models can be leveraged? If a company decides to use a phased-in approach, the choice of which products to roll out first is not necessarily an easy one. In general, VM-20 requires a calculation of three different reserves: a net premium reserve (NPR), a deterministic reserve (DR), and a stochastic reserve (SR). The reserve used for statutory financial statement purposes is the largest of the three. However, the actuary may choose to demonstrate that certain products can be excluded from the DR or SR calculation. Exclusion testing is a new process; a company may wish to do some research in this area before modeling begins, even if the company believes its products pose little to no interest rate or investment risk. Companies may be concerned that certain aspects of PBR are not yet final. While term insurance and universal life with secondary guarantees (products that may have captives as part of the financing arrangements) have well-defined reserve methods within VM-20, indexed universal life and variable life without secondary guarantees do not. Actuaries may use their judgment on how to apply VM-20 techniques to these products, but there is some risk that VM-20 will be amended to require calculations different than what the actuary would choose today. Even for methods that are well-defined in VM-20, the actuary may use professional judgment in setting assumptions, methods, and modeling techniques. Industry practice is evolving, and not all questions the actuary may consider will be addressed in the PBR or modeling practice notes. Each company will have its own view of appropriate internal controls and risk management practices. As reserve methods become more complicated, documentation and disclosures become increasingly important. VM-31, PBR Report Requirements for Business Subject to a Principle-Based Reserve Valuation, specifically requires a report describing not only the results of the calculations, but also the means by which the actuary determined that reserves met the requirements of the Valuation Manual. The actuary verifies that the assumptions, methods, and models are appropriate for statutory reserves. The actuary is encouraged to review VM-31 disclosure requirements before modeling begins. The VM-31 PBR Actuarial Report will contain a description of risks, rationale for selecting assumptions, and the development behind assumptions. The overview section of the PBR Actuarial Report is submitted to regulators on an annual basis, while the remainder of the report is submitted upon regulatory request. Accordingly, along with the prescribed disclosures, the actuary will likely need to maintain work papers and documentation of decisions being made. If you think this sounds like a lot of decision points, you’re right! Fortunately, there are a number of resources available. Practice notes are being created and updated, which provide additional useful resources for actuaries. In particular, the Academy created a Model Governance Practice Note, a Model Governance Checklist, and a draft PBR Practice Note. The Academy has made PBR-related information easy to find, with a special web hub to summarize items related to PBR. Another review for planning purposes is the SOA’s PBA Implementation Guide and case studies (Roadmap). Project managers may find this document to be particularly helpful. While this Roadmap was created by the Smaller Insurance Company Section, it will provide helpful information for companies of all sizes. The follow-up report—PBA Implementation: Beginning Tales—is also well worth reading. If you wish to venture from home, the Academy has created an intensive PBR Boot Camp, during which an actuary can receive up to 24 hours of continuing education specific to PBR. The SOA ValAct Symposium and the SOA Annual Meeting will also have an emphasis on PBR when discussing life insurance topics. Taxes. Taxes have an important impact on financial results, and must be considered in any operational or strategic decisions. The Treasury Department and the IRS have not yet ruled on tax treatment for products using PBR as a statutory reserve methodology. Treasury has ruled that products using the 2017 CSO mortality table for CRVM reserves and cash surrender value calculations will meet the definition of life insurance. Treasury has not yet made a decision as to which reserve calculation will be allowed for tax purposes. NPR is more similar to CRVM methods than DR or SR. In contrast, the DR and SR are more similar to generally accepted accounting principles (GAAP) methods than CRVM. It is possible that Treasury will rule that the entire statutory reserve is to be used for tax purposes, that only NPR will serve as the basis for tax reserves, or that some other method is to be used. Companies are encouraged to consult with tax attorneys as they consider tax implications. Exemptions. If a company (or group of companies) sells less than a certain amount of life insurance premium, a company may be exempt from the PBR regulation altogether, in which case it could continue using the current CRVM framework for reserve calculations. National Companies. One concern for the companies operating nationally is that there are still a few jurisdictions which have not passed enabling laws—Alaska, Massachusetts, New York, and the District of Columbia have not passed enabling legislation. Alaska and the District of Columbia have no life insurance companies domiciled in the state; Massachusetts has 17. Alaska and Massachusetts have PBR legislation in various stages of the legislative process. The District of Columbia does not. New York has not yet adopted PBR. The New York Department of Financial Services has publicly stated that it will adopt PBR as a minimum reserve standard as of January 1, 2018. Companies domiciled in New York as well as companies domiciled elsewhere that file a “NY Supplement” may want to consider that New York could require either different or more conservative assumptions, methods, or models for PBR valuation than other states. If New York adopts a form of PBR that is different than other states, then applicable companies may be required to hold the higher of the two reserve standards. In this situation, companies may want to consider whether additional costs will need to be built in to products. Governance. Along with the advanced modeling capabilities and company-specific assumptions that come with PBR, we believe there is also an increased need for company governance and internal controls. One approach to handling governance over methodologies and assumptions is to establish an internal committee to oversee these aspects. This committee can provide guidance for elements of PBR, as well as assumptions and methodologies used outside of PBR. In addition, a model validation team can help inspect various architectural and coding features of how PBR models are constructed. Additional controls may be required in addition to the current Model Audit Rule (MAR) controls needed to govern statutory accounting. Companies may find that these current controls are adequate, or they may determine that additional documentation of these controls is useful. Other companies may need to set up additional controls around modeling, setting assumptions, and reporting. If the company has placed controls with the finance team, the actuaries should then seek to be involved, as there is a new requirement that the actuary verify that the controls are adequate for statutory valuation. With the introduction of PBR also comes the emergence of VM-G, the governance section of the NAIC Valuation Manual. 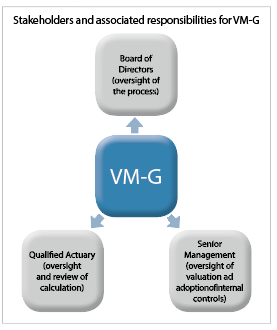 VM-G requires that the appointed actuary, senior management, and executive board members take responsibility for certain aspects of governing PBR and the associated control environment. While VM-G is only required for PBR at the time the company transitions to PBR, VM-G requirements also apply to companies that already sell variable annuities under VM-21 (Actuarial Guideline 43) starting in 2017. VM-G states that the CEO, CFO, and executive board members—who may have previously had minimal exposure to specific reserve topics—will be required by state law to document performance of certain oversight responsibilities associated with these calculations. 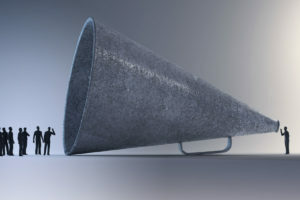 If a company has not informed its most senior leaders of these emerging requirements, it would be wise to start communicating this information to ensure compliance with VM-G. There is nothing new about regulatory change. It has been going on in the insurance industry for years. But now more than ever companies need to focus on the regulation and make sure they understand the effects on their business. PBR is a good example of regulation that leaves some choice to the practitioners. We only scratched the surface on the high-level decisions around PBR; there is much, much more that needs to be discussed. LINDA LANKOWSKI, MAAA, FSA, is vice president and actuary at Prudential Financial. KEVIN PIOTROWSKI, MAAA, FSA, CERA, is a manager in the Advisory Services practice of Ernst & Young. BENJAMIN SLUTSKER, MAAA, FSA, is corporate vice president and actuary at New York Life Insurance Company. The American Academy of Actuaries’ PBR page may be found at www.actuary.org/content/pbr-practice. This article is solely the opinion of its authors.  It does not express an official position of the American Academy of Actuaries; it does not necessarily reflect the opinions of the Academy’s individual officers, members, or staff, nor those of the authors’ employers. It should not be construed as an Academy Practice Note, and it is not an interpretation of guidance from the Actuarial Standards Board.